A new physical environment to position Financial Services for the next phase of their growth. Dulux Colour Award Winner Retail & Commercial Category 2017. This business is one of Australia’s most successful investment management companies offering both global and infrastructure investment funds. 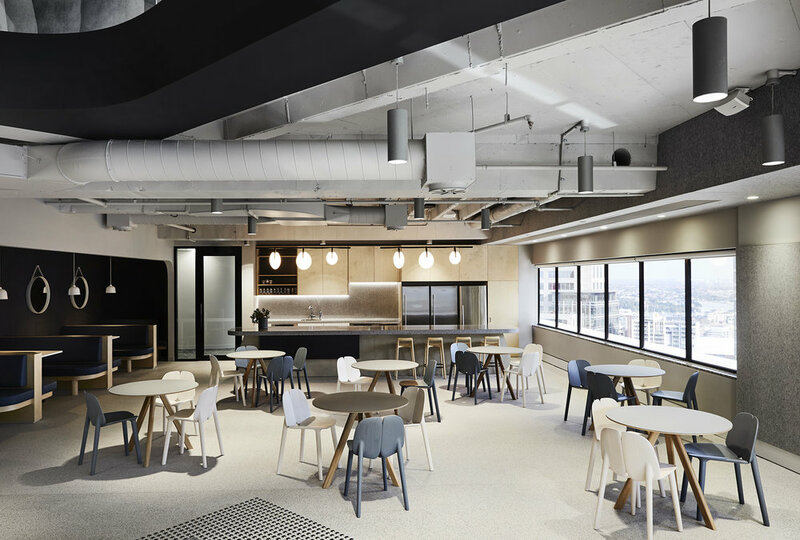 FutureSpace were engaged by the company's CEO (who is regularly voted as one of the most admired CEO’s in Australia) to design a new physical environment to position the business for the next phase of their growth. FutureSpace’s engagement commenced with the development of an appropriate Workplace Strategy through a collaborative work-shopping process with key people. The workshops investigated new workplace models adopted by other organisations to develop the most appropriate response. A short list of buildings were then assessed to determine a location that best aligned with the business objectives and aspirations. 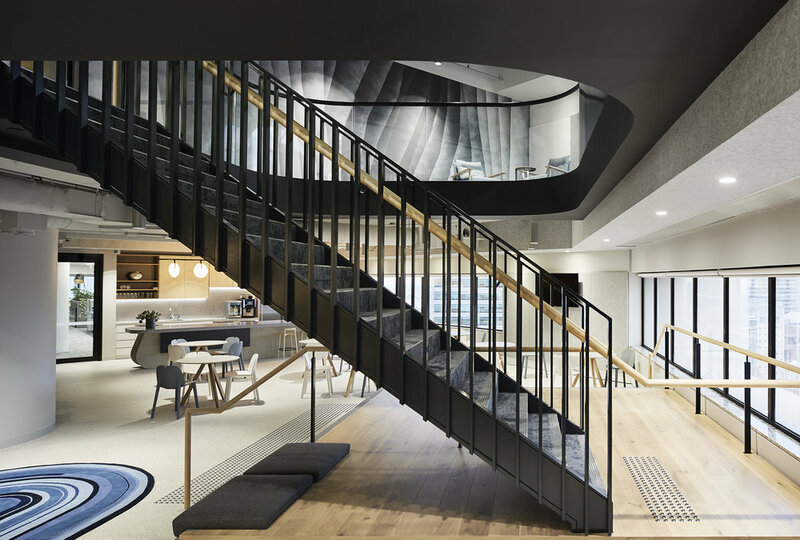 The company relocated to 2 floors in Sydney’s iconic MLC Centre and the physical space provides a flexible and tranquil workplace for this high energy business. The design of the space is very egalitarian with sharing of natural light and views by all staff. 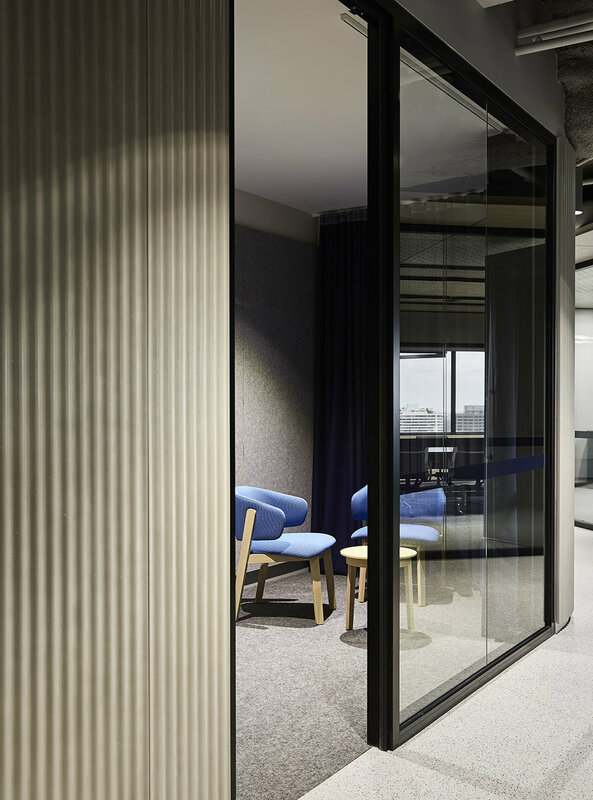 In keeping with the egalitarian objectives for the new space all staff share open plan work positions supported by a range of work settings to support different activities. The range of work settings available support both collaborative team work and individual quiet focused work. This hybrid solution delivers many of the benefits of an "Activity Based Workplace” (ABW) while still allowing individual desk allocations. 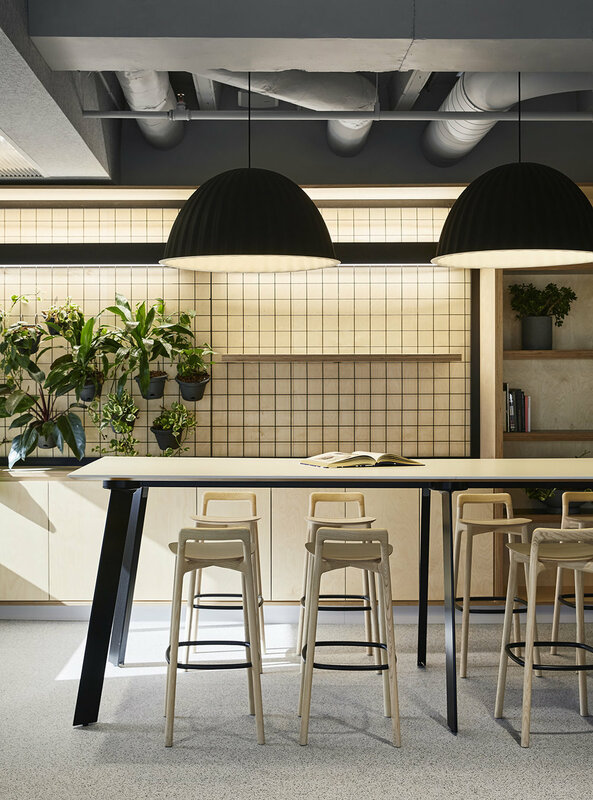 The workplace design is underpinned by healthy work initiatives with natural materials, plants, sit stand desks and satire to connect the 2 work floors. 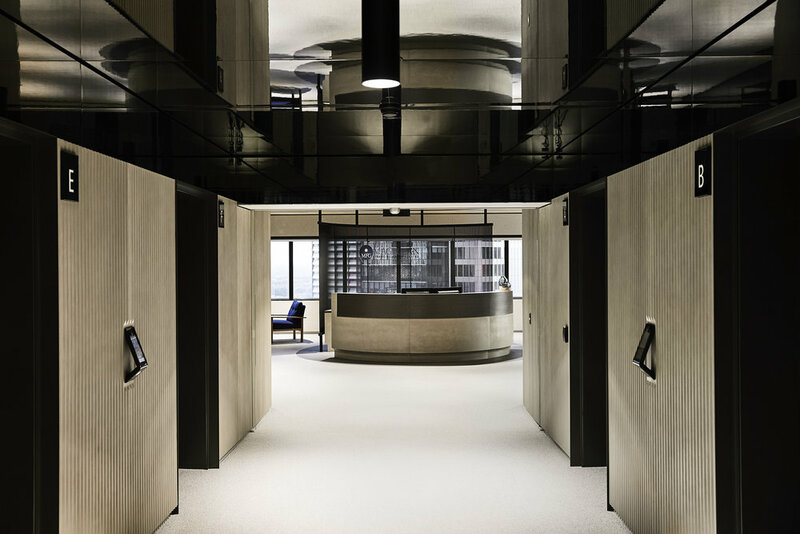 The new workplace coincided with an upgrade of the MLC base building floors allowing a “shell + core” approach to be taken with the design of bespoke lift lobbies and base building finishes. 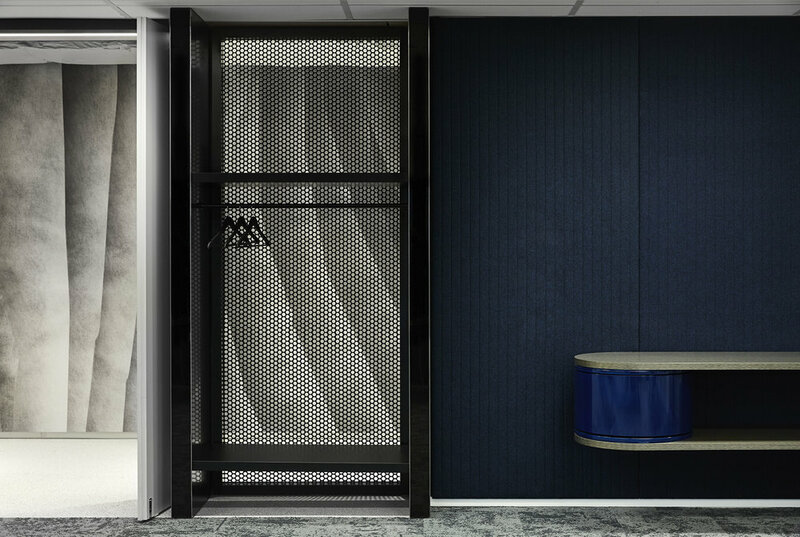 In public spaces engineering services were exposed and new plywood ceilings introduced to create an appropriate aesthetic for the business that reflected their positioning but was not ostentatious or indulgent. The client space includes a large investment committee / seminar space that can seat over 50 people supported by a client “club space” suitable for informal gatherings and work.